The paper presents the main principles for obtaining enhanced resolution in standard ECG records, constructing high resolution vectocardiogram and determining activities of particular segments of the cardiac muscle. Standardized electric activities of the ventricles and septum in healthy people are also given. 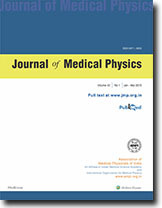 The need to develop a technique for rapid detection of microorganisms continue to exist, despite several attempts made to develop and refine various radiorespirometric methods. In the present work, electrets have been used to develop Electret Radiorespirometric (ERR) technique for rapid detection of microorganisms.' The respired I4C02 released due to utilization of 14C-Glucose by the microorganisms. Resulted in neutralization of surface charge on the electret surface, which was measured as voltage drop on the electret voltage reader. The voltage drop measured was correlated with the presence or absence, and also the inoculum size of the microorganims. The preliminary validation revealed promising results demonstrating potentiality of the technique' to rapidly detect the microorganisms. Dose distribution in different organs of 9 retinoblastoma cancer patients who were undergoing radiotherapy in Dhaka Medical College and Hospital, were studied with TL dosimeters. Dose given to these, patients varied from 30 Gy to 45 Gy. Among these patients, 4 were treated by 6 0 Co teoletherapy unit, 4 were treated by 137Cs unit and 1 was treated by deep X-ray therapy machine. The maximum average dose of 67 mGy (1.68% of the applied fractionated dose) was observed at the contralateral eye for a patient who was treated by 60Co teletherapy unit and the minimum average dose of 0.75 mGy (0.02% of the applied fractionate dose) was observed at the right leg for a patient who was treated by 137Cs teletherapy unit. It is a well established norm that a combination of external radiation and iridium implant in early stage squamous cell carcinoma (SCC) of oral tongue gives good results. We have treated 10 consecutive patients of SCC of anterior 2/3 of tongue staged TI-2 NO by giving 4000 cGy external radiation and 3000 cGy boost with iridium-192 implant. Traditionally, orthogonal radiographs have been taken to determine the spatial distribution of sources. As we do not have a simulator, we have taken 2-4 C.T. scan images perpendicular to the axis of implant. By using this cross-sectional information, we identified the source points and a basal dose rate was calculated manually by following the geometric principles of Paris system, as our T.P.S. did not have the required software. Clinically, 9 out of the 10 patients are in remission (N.E.D. = No evidence of disease) at 18 months follow-up. Our aim of this presentation is to compare manual dosimetry with T.P.S. generated dosimetry and to show that manual dosimetry is also dependable. Dose fractionation is important in radiotherapy in order to achieve the desired results. There are regimes which are accepted and followed worldwide. Five fractions per week for a full course of treatment is regarded as standard fractionation regimen. Interest has lately been developed to alter this and try regimes like Hyper and Accelerated Fractionations. In the former, smaller doses per fraction than usual are given in several fractions on each treating day, with no change in overall time. In the latter, conventionally sized fractions are given as two or three per day with a shortening of overall time. As the dose fraction in our case is high, we spilt the full course of treatment introducing a gap of one week between the treatment schedules. The results obtained are fairly good in comparison with conventional radiotherapy regimes. There is increasing evidence from animal and clinical studies suggesting that prolongation of overall treatment time (OTT) during radiotherapy is associated with a reduced probability of normal tissue complications, attributable to repopulation during the course of treatment. Radiation spinal cord myelitis limits the dose to tumours in the head and neck, thoracic and upper abdominal regions, resulting in reduction of tumour control probability. The bioeffect of a physical dose depends on the nature of the tissue, fractionation scheme, dose rate and treatment time. The absorbed dose needs to be translated into a bioeffect dose, which takes into account treatment varibles and the radiobiological characteristics of the relevant tissue. The purpose of the present study was to correlate Bioeffect Dose (BED) with probability of spinal cord myelitis, taking into account overall treatment time for human compiled retrospective clinical data. Clinical data of time dose fractionation schedules and incidence of myelitis for 3233 patients compiled from the data of Cohen (1981), Wara (1975), Abbatucci (1978) and Jeremic (1991) was used for the analysis. Radiotherapy schedules were 19 to 76 Gy in 2 to 46 fractions in 7 to 71 days with the dose per fraction of 0.96 to 10.0 Gy. BED values were evaluated with Orton's equation, with alp of 2.5 Gy, K of 0.45 Gylday and To of 0, 10 and 20 days. BED values indicated statistically significant correlation with probability of spinal cord myelitis for the four clinical situations considered i.e. no influence of OTT, influence of OTT with three different onset times of proliferation/repair of 0, 10 and 20 days. In order to limit the probability of spinal cord myelitis to acceptable level of 5.0%, tolerance BED values of 84, 81, 86 and 90 Gy were obtained for the four clinical situations. The BED concept of Linear Quadratic model is useful as a prognostic indicator for normal tissue late complication of spinal cord myelitis. However, its clinical validity needs to be tested with prospective clinical studies.